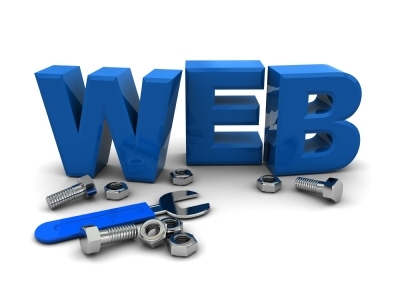 Web designing is an intellectual process of evolving a website viewer’s attention. It is an art to keep the viewer spell bound. The process of designing a website is not just the technical aspects like coding and creating new layouts. There should be planning in all aspects of the process to design a successful and profit making website. The first step in planning for the design of a website is determining you wish to accomplish with the webpage. Once you have decided on the central purpose of your website you want to stick to that throughout the process as it can be adapted to other specified goals later on. When deciding to hire outside help to build and develop a website, you should take a look at the budget and determine if this will be a long term or a short-term site to promote the business or product. With a long-term webpage there will need to be an easily update design in place to allow for updates and new content to go into the site opposed to a site that has a short lifespan. With a short-term strategy you won’t want to put as much money or resources into it as the profitability of the site will be only open for a short period of time. The site’s strategy will determine the quality of designer that is chosen and the designer should be well informed of the purpose of the site to accurately design a page to fit your needs. While working with the designer you should be sure to incorporate details of you marketing strategy such as your target audience and your planned method of promoting the site. After the website is completed by the designer, you will usually have to take the competed design to a coder to have everything coded and implemented unless you find someone that does both. In most cases designers and coders work independently but there are some that are knowledgeable in both expertise or if you hire a firm to create the site they will typically provide all of the service required in house. The layout of the site should reflect your strategy and should obviously be user friendly or at least usable for the viewers you intend to target. Most sites should have a site map to be easier for users to navigate especially if the site is larger and has several navigable pages but also more importantly is search engine friendly. The site should be appealing to users but also it should be optimized for the search engines, which is the source of most traffic unless you already have a well-established name in the industry. SEO or search engine optimization is one of the greatest strategies to have when designing a web site because of the traffic that originates from this method is free once you have been established and ranked in the search engines. While designing a webpage you should keep in mind the methods you will use to drive traffic to the website whether it is paid traffic though advertising banners or paid searches through the search engines. You can also utilize SEO or search engine optimization to build free traffic through the site’s rankings in user searches. Purchasing advertising if in the strategy or budget permitting, the site’s design needs to be setup in a way to accurately track the sources of traffic so you know exactly where it is coming from so you can eliminate advertising that is not working and increase what is working. Social media can be a great tool to integrate into the strategy to accomplish the goals of your site. Now it is the work of an efficient SEO Services to make your website the best and bring its goodwill to extreme heights. 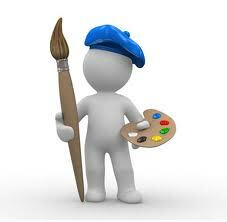 the website designing process is the building block for any website.. It is excellent post.So informative and helpful in designing process.The website design process is not so much difficult these days.I think putting the correct process in place will help grow the excitement and craft ideas into executable goals.Thanks for sharing such a valuable post.Thanks for sharing. Website designing is not only the process of technical aspects of coding and creating new layouts and design. There should be planning in all aspects of the process to design and and to bring traffic the website for a successful and profit making website. Its not only a process of creating or designing the layouts but to give the website a good traffic and rank . Thanks for the absolutely stunning post. Can you share some information as to how textured website design is different from the flash website design? That's a very nice and so much informative article. I really impress with this article. I get many information from there. And now i often visit on that site. So please keep posting me such a informative article. Website Designing Company in Delhi,Website Designing in Gurgaon, Website Designing Company in Noida. Your all post are always great, Lot of thanks for sharing the best and useful information about website design services. Thanks again! The post is very greate and information is also usefull. The post is very greate and information is also usefull. Please keep it up sharing similar post. The post is very great and information is also useful. Fully Fantastic Post. Your all post was always been great, Lots of thanks for sharing the best and useful information. Thanks again!